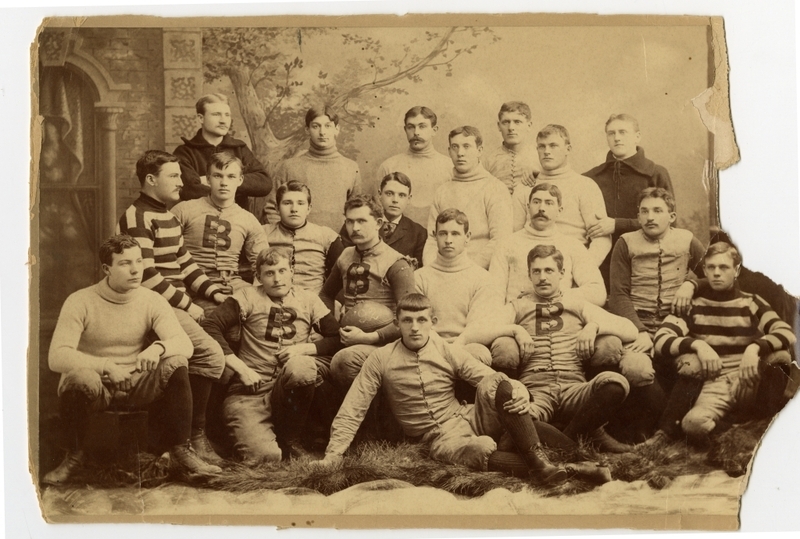 Bowdoin football squad with football at center. "'92" is painted on the football. They are posing in front of a false background or mural.